In what could be a good omen for Leonardo DiCaprio finally winning an Oscar and for us to finally stop hearing about Leonardo DiCaprio’s lack of Oscars, the voters for the Directors Guild Of America Awards were impressed enough by The Revenant to give it the Outstanding Directorial Achievement award—the DGA’s top prize. 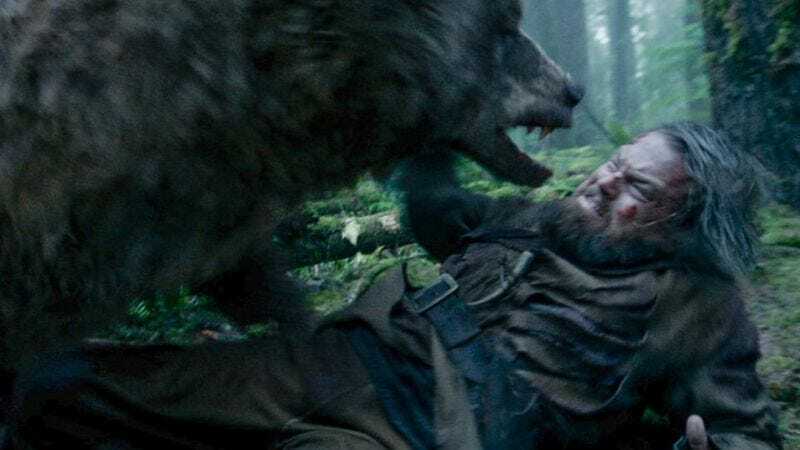 That doesn’t really have much to do with its lead actor, but considering that a lot of the other big awards are pretty hyped on The Revenant as well, there’s a good chance it’ll also make a strong showing at the Oscars. In addition to Alejandro G. Iñárritu’s win for The Revenant, the DGA also gave an award to Alex Garland for Ex Machina (Outstanding Directorial Achievement Of A First-Time Feature Film Director). On the TV side, HBO won the awards for comedy directing, drama directing, and miniseries/TV movie directing thanks to Veep, Game Of Thrones, and Bessie, respectively. The SNL 40 special won for variety/talk/news/sports specials, and some episode of Jimmy Fallon’s Tonight Show won for regularly scheduled variety/talk/news/sports programming. You can see the full list of winners at Deadline.